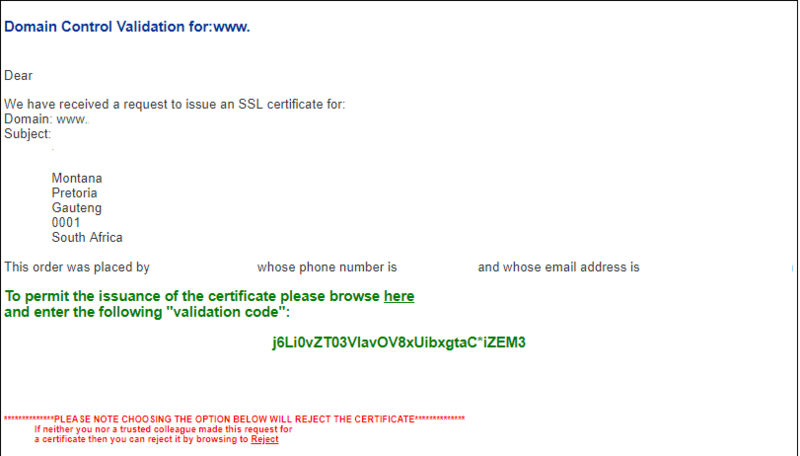 1-grid Knowledgebase Tutorials & Self-help Guide - How to install your SSL Certificate? Step1. Login to your customer zone and click “services”. Locate the SSL Certificate product and click “manage product” on the right. Step2. 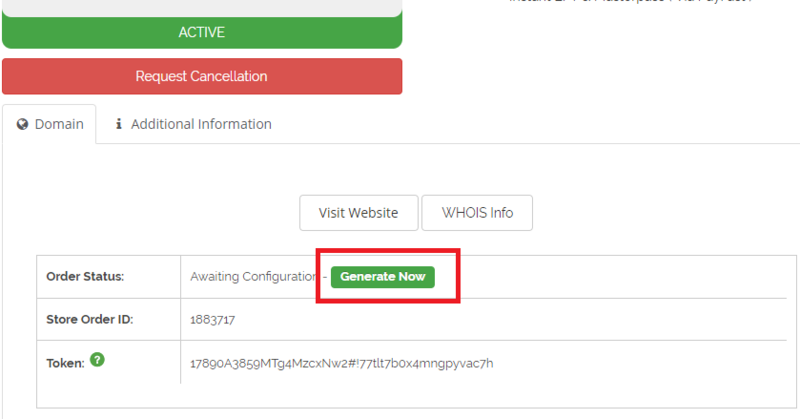 Click the “generate now” button and make sure the order status shows awaiting configuration. Step3. Select your web server type. Select cPanel/ WHM if your website is hosted on a Linux package, Select Microsoft IIS 5.x and later if your website is hosted on a .net windows hosting package. Step4. “Input your CSR” – this needs to be provided from us after you have replied to the email sent to you with subject ” Your SSL certificate is almost ready for installation”. Step7. Under the “DOMAIN VERIFICATION OPTIONS” – Choose your option. If you select the Certificate Approver Email option, you can choose from the list of pre-authorized email addresses associated with your domain. You will receive an email at this address in which you need to complete for the vendor (CA) to issue the certificate. Step8. Click back to Client Area. Step9. 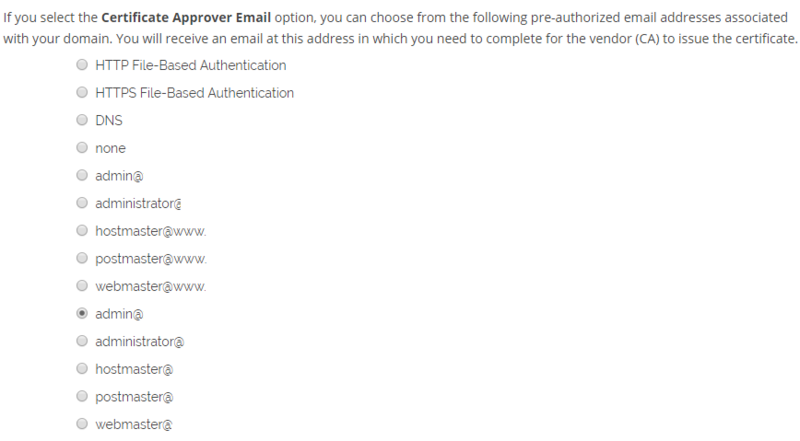 If you have chosen the email domain validation option in step 7. Access your selected email address for the validation email sent by Comodo to approve the order.Click on the browse here hyperlink to enter in the “validation code”. Step10. Close the window to complete the validation process. Step11.Browse back to the customer zone page to download the certificate which is found at the bottom of the page.You can send it to us via email to support@1-grid.com or inform us its ready to download so that we can complete the SSL Certificate installation for your domain.